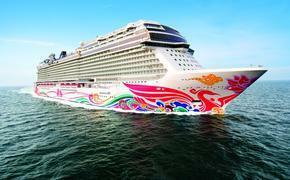 Norwegian Cruise Line placed an order for two 164,600-ton, 4,200-passenger Breakaway-Plus ships from Meyer Werft in Papenburg, Germany. Delivery is scheduled for the second quarter of 2018 and the fourth quarter of 2019. The Freestyle Cruising line now has four Breakaway-Plus ships on order at a cost of about €3 billion (about US$4 billion). The first one, Norwegian Escape, is scheduled for delivery in October 2015, and will be followed by Norwegian Bliss in spring 2017. The Breakaway-Plus ships are slightly larger than the Norwegian Breakaway and Getaway, which accommodate 4,000 passengers and measure 146,000 tons in size. The two Breakaway-class ships are notable for their waterfront decks that house restaurants, including one by celebrity chef Geoffrey Zakarian, and several bars. They also have a large theater for Broadway-style productions. The Getaway also has a venue called Illusionarium for a magic show. 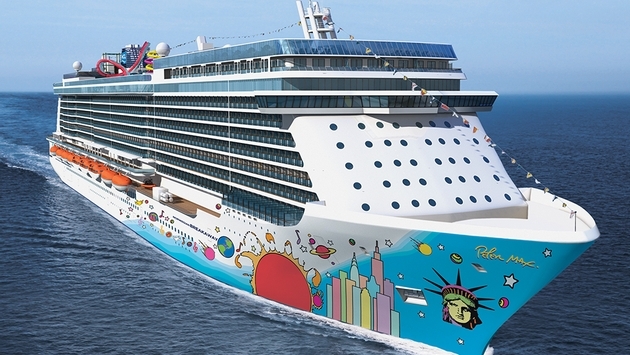 The Norwegian Breakaway is homeported in New York and entered service in May 2013, followed by Miami-based Norwegian Getaway in February 2014.